Dressage rider Izzy Chaplin has been chosen to represent the UK’s leading equine bedding producer, BEDMAX, as their Young Rider Scholar for the 2018-2019 season. A final year accountancy student at Nottingham University, 21-year-old Izzy is the third winner of the annual BEDMAX Young Rider Scholarship, launched in 2016 to help promote greater awareness amongst leading young riders in the UK of the crucial role that good bedding plays in protecting horses from health threats such as respiratory and hoof disease in their stables. 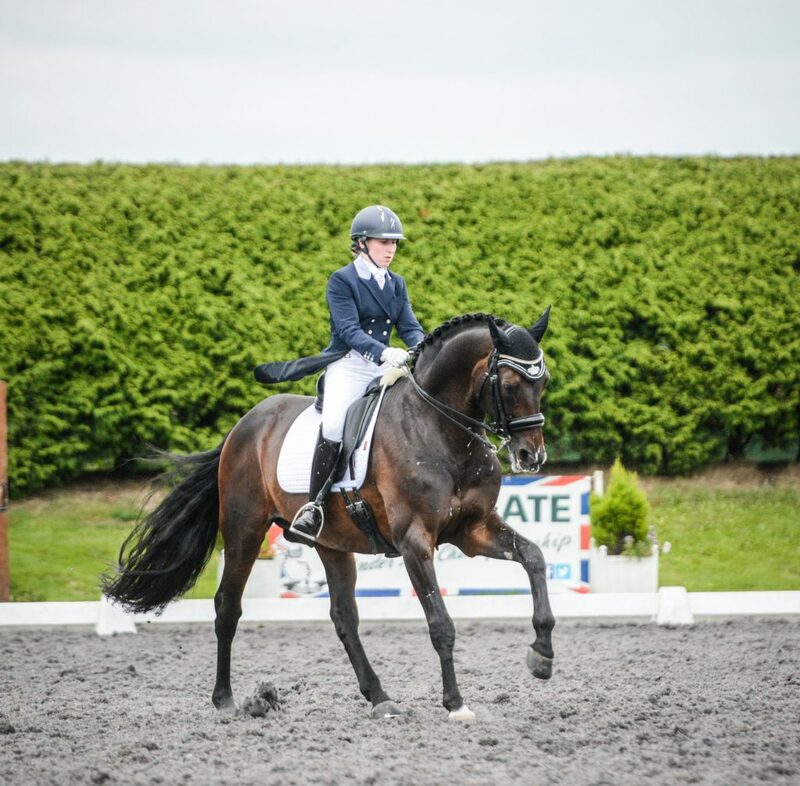 Based at Otford in Kent and a long-standing member of the West Kent Meophan Pony Club, Izzy won the Medium Young Riders Championship at the Home International in 2015, and over the past 2 years has achieved her dream of competing at advanced level dressage. 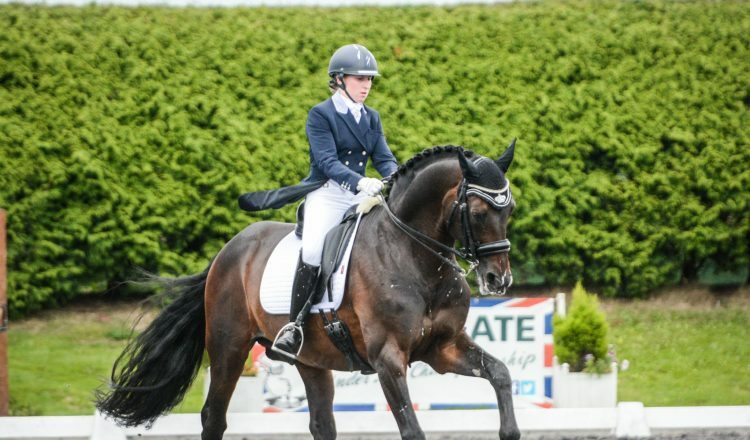 Last year, she qualified for the BD Winter Championships at advanced medium and was selected for the High-Performance Camps where Izzy and her horse Vinnie were part of a team performing a display to music at Hickstead International and the British Dressage Nationals 2017. With her sights set on making the step up to under 25’s Grand Prix, Izzy has started the year well by winning the Essex region’s PSG area festival first round, and qualifying for the PSG small tour championships with a personal best at Inter 1 of 68.55%. As part of the Scholarship, BEDMAX will support Izzy throughout her training and competing this year. As well as branded clothing, saddle cloths, and a rug for her leading horse, Vincente II (Vinnie), she will receive one year’s supply of BEDMAX Shavings for Vinnie and receive two free training sessions with an instructor of her choice. In return, Izzy will represent BEDMAX as an ambassador, and contribute to the company’s equine healthcare communication and educational programme on social media. 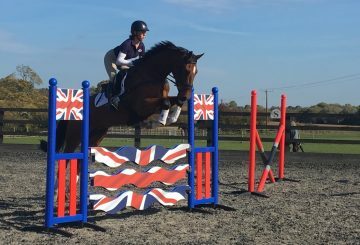 The Young Rider Scholarship is open to riders training and competing in all disciplines in England, Scotland, and Wales, aged 16–23, and once again BEDMAX was inundated with applications. This made the final selection process extremely difficult for the panel of judges, which included Olympic eventing medallist, Karen Dixon. The Young Rider Scholarship is a key initiative in the BEDMAX commitment to improving the way we look after our horses, says BEDMAX Managing Director, Tim Smalley. BEDMAX Shavings were the first dust free, tailor-made bedding for horses to be produced in the UK. In 2008 the company was awarded a Royal Warrant from the Queen which they have held since. Today, with three production plants and a national sales team supporting a UK-wide retailer network, they are an industry leader. Further information about BEDMAX shavings can be found on www.bedmaxshavings.com.